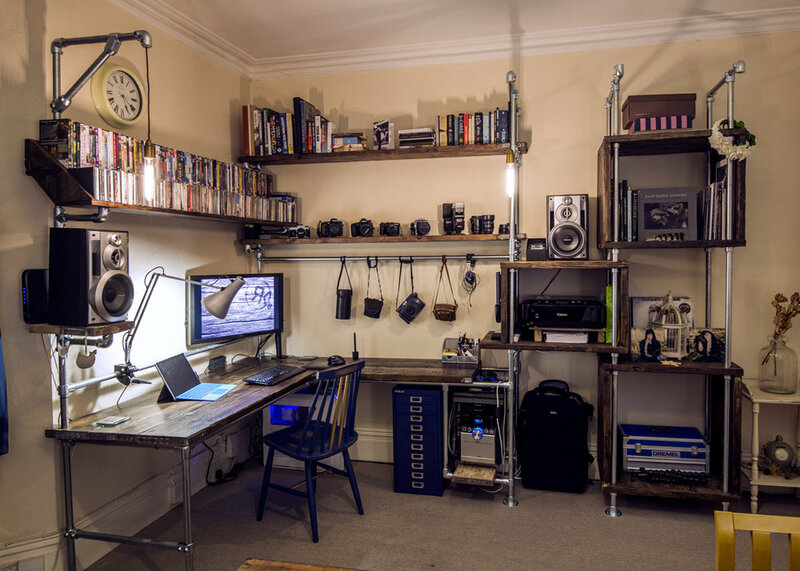 Reclaimed Scaffolding and Pipe Workstation - Bespoke Desk and Shelving with Wired in Lighting. Reclaimed Scorched Wood Coffee Table. Brick Stacking Game. Two-tone Bricks. Great for the Garden in the Summer.